CASA has published stronger and clearer safety rules for drones. at night, in cloud, fog or in designated restricted areas. These new interim measures make it clear that operating drones near public safety or emergency operations is not permitted. 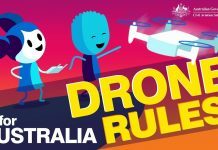 CASA has also launched a new website called droneflyer.com.au that explains key safety rules for recreational drone flyers, using easy-to-understand language and clear and simple information graphics. Droneflyer.com.au complements CASA’s Can I fly there? 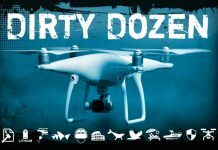 free mobile app, which provides recreational and sub-2 kg drone operators with practical information about where they can and can’t operate. For example, the whole of Sydney Harbour is a no-fly zone for drones. The updated app will be available next week. The new rules don’t apply to holders of remote pilot licences (RePL) who operate according to a remotely piloted aircraft certificate (ReOC) or have an authorisation from CASA. Model aircraft operating under CASA approvals are also exempt. How is CASA interpreting between drones and other recreational remote controlled devices such as model airplanes? Is there any relaxation in a formalised club environment? Many UNCR aerodromes also have regular model aircraft activities and/or Clubs based there, so how does this impact on those. I assume as long as there are no full size OPS at the time a model is flying it is still acceptable? But we all know what an assumption is! (b) keeps it clear of populous areas. This tells me that it CAN be operated over 120m. Something is not right here. May we ask for some clarification as the article seems to be factually incorrect. Part 101 is still in effect. The legislative instrument implemented Friday goes above and beyond Part 101. This means that where there is a more restrictive requirement in the instrument (like flying below 400ft AGL), that requirement is law and must be followed. This instrument does not apply to those with an exisiting authorisation from CASA. This could include model aircraft clubs operating within 5.5km of a controlled aerodrome. “within 5.5 kilometres of any uncontrolled aerodrome or landing site” So the helipad rule seems to have changed as well ? 5.5k clearance away from every helipad basically makes cities off limits altogether ? Also there seems to be nowhere to question the correctness of the CASA data – for example there currently lists YBVH on the Brisbane River as active and hasn’t been there for 5 or so years. I’m glad I’m not the only one who noticed this “subtle” change…subtle it is NOT! The App has been updated with these new rules and now basically says you can’t launch AT ALL just about anywhere within est. 20km of the CBD (Melbourne) – due to what can only be described as, rarely, if ever used HLS (in your case Adam, it doesn’t even exist!) (note: time for a data quality exercise) Whereas, before the change, CASA themselves said we are allowed to fly at up to 45m within 4km of an HLS and to keep an eye out for active choppers (i.e. fly responsibly). The only subtle change I can see if that they are slowly but surely making sure no one can fly ANYWHERE! I’m just one of, I’m sure many people, who are quite angry about these changes – C’mon CASA, make up you mind and stick to it – and more importantly, PLEASE, for the love of God, actually communicate your change CLEARLY! I left something off more on the topic of inconsistencies…The app says you cannot LAUNCH a >100g drone within 5.5km of a non-controlled HLS, the new website droneflyer.com.au says you can “fly” within 5.5km of a non-controlled HLS (covering the vast majority of HLS) but at 45m and you must land if you become aware of activity (read: old rules) – and the article above says “uncontolled” being used by “manned” – which can be read as (I think Adam did), you can’t fly AT ALL, but the key words here are “used by manned”. We NEED to start being consistent in wording. While these are all self explanatory, mixing them causes confusion. Right, at the risk of sound like a rambler (yes, I know way too late on that one), I’ll stop there. Rather than speculate about things, why not talk to the horse’s mouth , ie CASA direct to RPA section where I am sure you will get the information you seek. John – great idea, we get the information we seek and everyone else is left in the dark! Isn’t the idea of these forums information sharing, hopefully CASA will reply and “everyone” will get the answers they need.